When the Karsten Tent was invented in 1981, a new carefree camping started. No more hassle with poles and up within 5 minutes, that's what we call carefree camping! 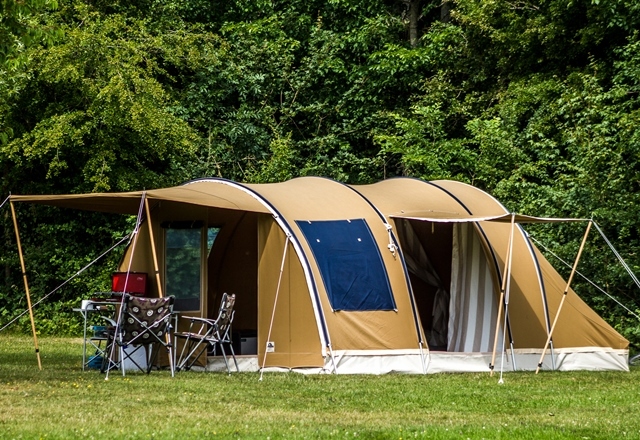 The Karsten Tent also distinguishes itself by convenience, comfort, a sturdy construction, excellent ventilation and not to mention the unique inflation system. The Karsten Tent is made from the very best materials in our workshop in Holland and stands solid as a rock! 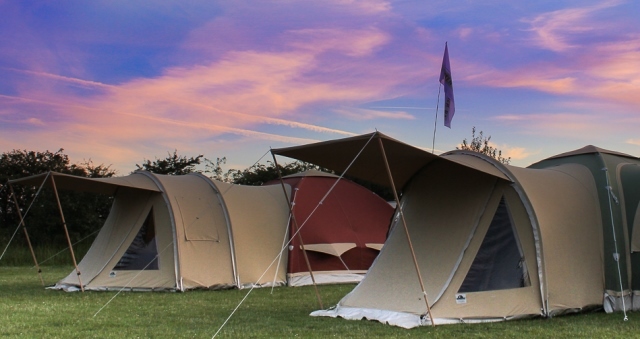 The main tent is inflatable and fully customisable! 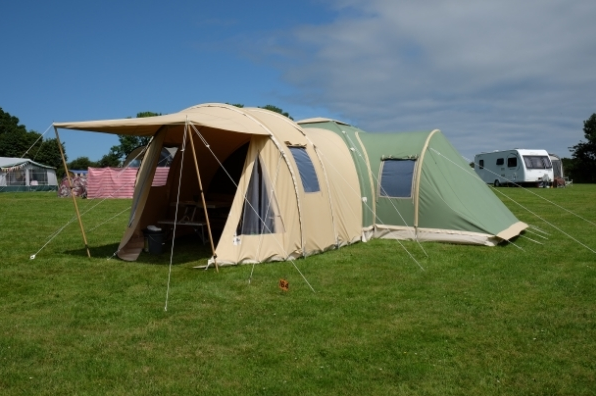 Then add poled awnings or link another Karsten Tent to it and the configurations are endless. 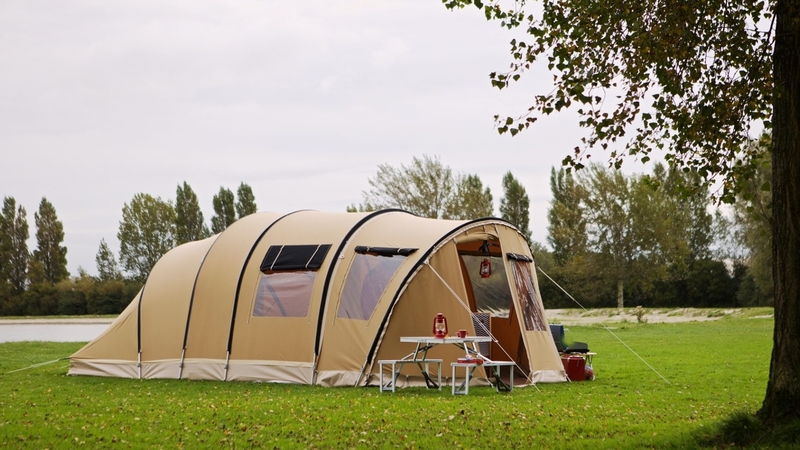 This together with its proven quality over the years gives our customer a tailor-made tent adjusted to their specific camping requirements, thanks to the expansion possibilities. 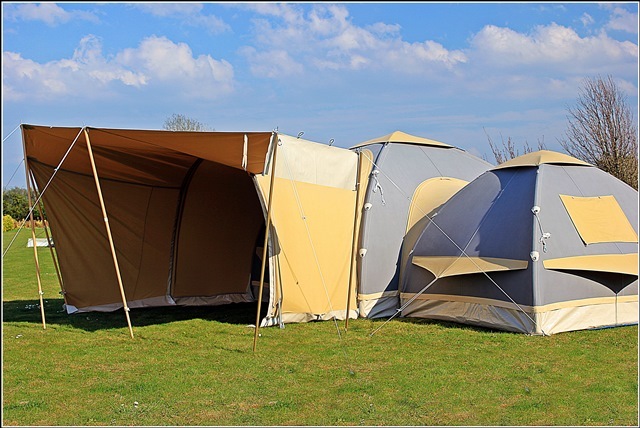 Models 300 & 350 are our main tents for customers looking for family tents as there are considerably more options available for 'growing' the tent! The basic tent can be set up within several minutes and is available from 220 x 220cm to 350 x 350cm, The smallest model offers space for two to sleep and in the Karsten 380 model with a surface of almost 15 m2 it's possible to go camping with a large family. Even if you stay with several people in the tent the air does not get stuffy due to Karsten's fantastic ventilation system. The standard tent is equipped with a strong bisonyl tub shaped sewn in groundsheet. The groundsheet has a standing edge of 25cm. 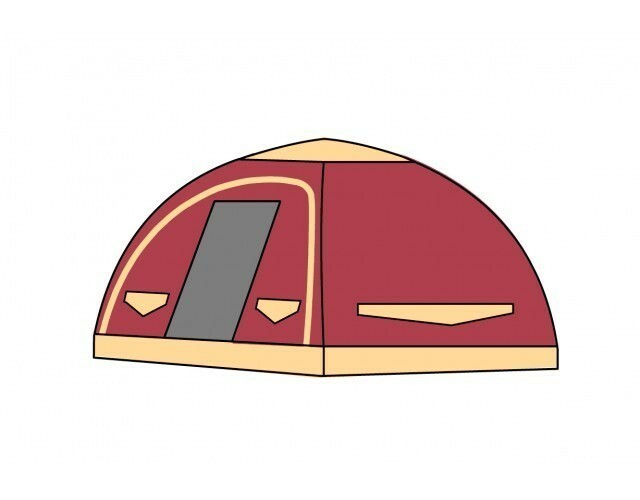 This sewn in groundsheet allows for comfort and keeps out drafts, moisture, and insects. This makes camping a lot more comfortable! The standard tent can easily be customised and extended with a broad range of awnings, link tents or sleeping extensions.